Twitter is the first Apple TV app support live 360 video, the company claimed. To rotate the active view, users can pan in a circular motion on their Siri Remote. 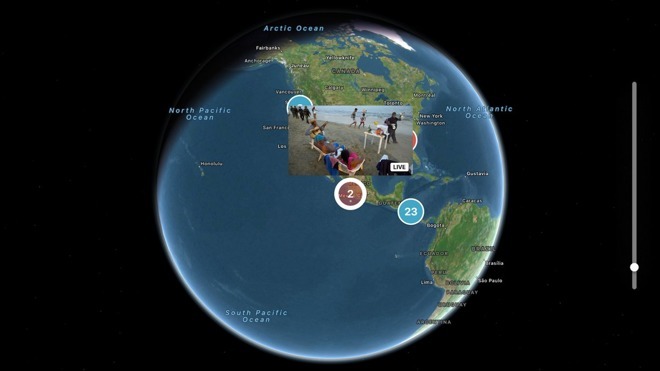 The Global Map makes it possible to browse Periscope streams by location, scrolling around a 3D globe. Badges highlight the number of streams in a given area, and for more precision, users can zoom in and out. 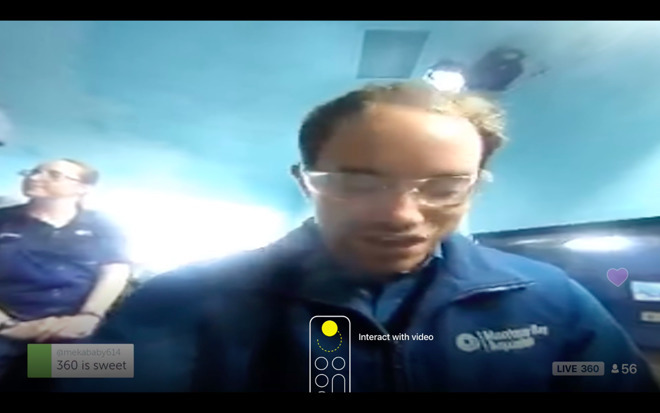 Twitter has been ramping up its emphasis on live video in the past year, hoping to keep people engaged and kickstart a slow-growing userbase. Earlier this month, for instance, it announced a wide slate of shows from sources like Live Nation, Cheddar, and The Verge, perhaps the biggest addition being a 24/7 Bloomberg channel. Indeed the Apple TV app isn't meant for posting — instead, it mostly makes it easier to watch Twitter's video feeds, incorporating tweets where they make sense. In the iOS app, some users should now see a Settings option to let their Apple TV discover their iPhone or iPad — connections can further be set to happen automatically or require a prompt. Once two devices are linked, users can browse their Twitter account on a TV.